The rocket in the picture is being developed by Astra Space, Inc., which was formerly known as Ventions, before the company reincorporated under its present name in September 2016, according to documents on file with the City of Alameda. Astra Space moved into Building 397 in the Alameda Point Enterprise Zone under a license from the city on Nov. 22, 2016. In January 2017, the City Council approved a two-year lease with three one-year renewal options on Jan. 3, 2017. The base rent began at $12,134.50 per month. “Astra Space designs, tests, manufactures, and operates next-generation launch services that will enable a new generation of global communications, earth observation, precision weather monitoring, navigation, and surveillance capabilities,” according to a synopsis prepared for the council. The company started with about 25 employees in the building with plans to grow to as many as 100 employees within five years, according to city documents. The booster burns kerosene and liquid oxygen, the records state. Interesting. Ben Brockert, Twitter handle @wikkit, works there and occasionally drops hints about what’s going on. So is Ventions in its previous form extinct? – their website is still online. Based on Ventions experience base, I expect their engines are pump fed. I think I spotted a cluster of 5 on the bottom of that first stage. Are we looking at the entire vehicle in this picture? If that white piece is combo payload fairing and second stage, the second stage seems small. I don’t see any provisions for resusability, e.g. landing legs, but maybe they’re cleverly tucked away somewhere. They put Falcon Heavy but not Launcher One on their vehicle comparison chart? Seems weird. A few things about small launch and newspace startups, small launch is about short notice low cost per launch rather than cost per kg, reuse doesn’t scale down easily and requires a unique skill set, that newer companies aren’t likely to have access to, and there is always a payload penalty this penalty is smaller when the vehicle has a high mass ratio (full tanks to empty) due to cubed squared this is easier with a bigger rocket. To illustrate how big payload penalties can be, expendable f9 can lift 8mT to GTO the same as FH when recovering all 3 cores, if flown expendably the 2017 iac iteration of BFR can lift 250mT to LEO, its max reuse capacity is 150mT. Small launch it pays to be efficient because it isn’t hard to mass produce smaller rockets, the larger you get the more beneficial reuse is and the less you are impacted by payload penalty in a practical sense. Agree except maybe about reuse tech. The late Armadillo Aerospace developed a number of reusable VTVL vehicles that, were, in fact, reused multiple times. Armadillo wasn’t exactly a gigantic enterprise. Of course Armadillo was led by John Carmack. I freely acknowledge that the supply of John Carmacks is very limited. Yeah, I think propulsive landing scales down quite well. Once upon a time Masten was talking about a net recovery and dispensing with landing gear that had to travel with the rocket. If your GNC is good enough, the landing gear can stay on the ground (seems to be Elon’s approach with BFR). Armadillo’s STIG family (now Exos’s SARGE vehicle) was doing guided parachute recovery. I wonder how much bigger that Astra booster is than a STIG/SARGE – Ben also worked at Armadillo in those launches, so maybe he can share. Sure, orbital reuse is difficult in general. SpaceX hasn’t attempted 2nd stage reuse that I know of, and the first refurbished/reflown Dragon cost almost as much as new one. But a first stage doesn’t get anywhere near orbital velocity, and propulsive landing scales down (and up!) quite well – all the way from NGLLC landers to BFRs. But if that’s not the Astra paradigm, then so be it. Lots and lots of people seem to think the disposable small sat launcher is a golden goose. Vector, Rocket Lab, Virgin Orbit, Astra. Mass ratios are important, propulsive landing you have 2 basic concerns throttle range, and high mass ratio to your tanks can be more empty and your rocket has less mass, as you are coming down for landing, this means dense fuel, high volume to surface area in tanks, and light materials. 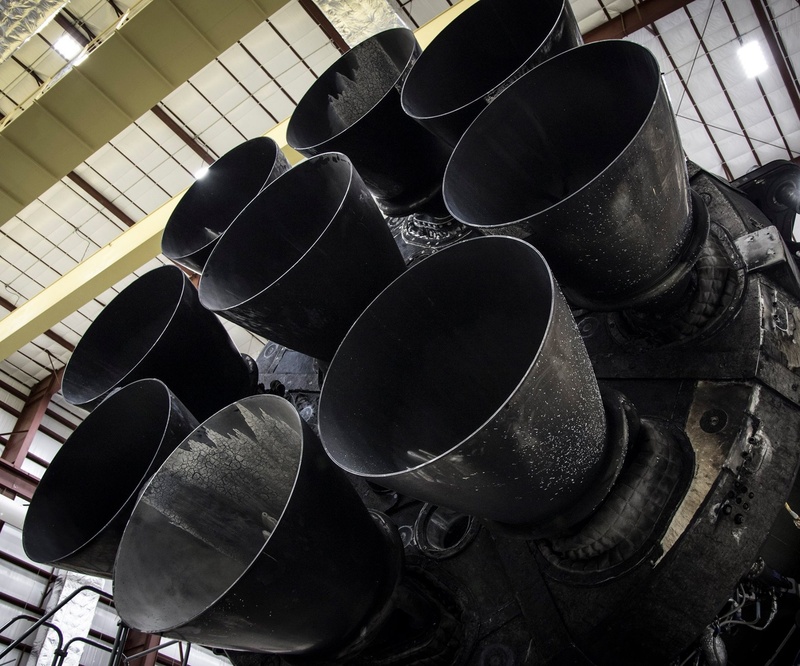 I actually think Rocket lab may eventually land combination of lots of engines and almost entirely carbon fiber, however thats a complexity you dont want to start with unless you want to start as a reusable sounding rocket service. Developing reusable rockets is a lot of extra capital expense, it cost SpaceX an estimated $1b and they already developed their own PICA (heat shield) and make it themselves, it isn’t just slapping a heat shield, landing legs and control surfaces on it either all of those add mass meaning you need to make your rocket bigger for the fuel to carry them and the payload, meaning more mass and so on.. You need the software, you need a place to test, you need a place to land and likely a mobile landing platform, so you need that and its software, and when thats all said and done, you need to make sure the rocket is in good condition and do what you need to make it ready to fly again. It adds up, and at that size Economies of scale are likely to be more effective, especially for the market small launch targets, at least to start with. It isn’t just about if reuse is possible for small launch, it is, its about if it economically makes sense, for the market that they are likely to be best at, it isn’t certain and right now other than air launch (reusable stage 0), until the market develops and is more understood, investing in partial reuse doesn’t make sense, it may be necessary to remain relevant with BFR and New Armstrong, but right now they need to focus on making money so they have it to invest in such projects. Right now small launch needs to deliver on the promises of short notice, high cadence, and low launch cost and that is best accomplished by mass production. For reuse it may even make more sense for them to send the rockets back to the factory. Sure, I agree with most of that. Throttle range/response is important, but you can work around it by shutting of engines and timing landing burns (e.g. BE-3 can go deep enough to hover New Shepard, but Space has to hoverslam a F9 first stage). I’m familiar with SpaceX’s PICA-X development and its use on Dragon – I wasn’t aware of its application F9 first stage. I think Electron is decidedly 21st century rocket – carbon composite structures, 3D printed electrically pumped engines – it breaks my heart that they throw it away each time! BE-3 is also a lot less powerful in twr than Merlin, its intended to be adapted for use in upper stages, SpaceX has to hoverslam because they land on fumes as you normally would in practice, Grasshopper and F9R hovered quite a bit. SpaceX added a 3rd sea level engine to BFS to help throttling in engine out. Electric pumped engines only make sense at smaller scale with lower chamber pressures, however with motor and battery weight, they dont scale up well past a certain point. Electron has to start making money so that they can invest in reuse, I think that is why they chose to use an octoweb-like engine config, they have a similar test regimen to SpaceX too. Helping such matters is heavy reliance on 3d printing for scalable production (as opposed to conventional mass production like Vector) carbon fiber, and already having higher lift capacity for a small launcher so adding the extra performance to remain useful with reuse hardware will mean less significant design alterations. The cost of carbon fiber may help the economic argument of reuse for them. I have confidence if they survive they can thrive, Vector has a very risky case a slow year may kill them and though they mention reuse at least in engines, their infrastructure might not be suitable. Of course there is the opposite of Vector, Relativity Space, I am equally skeptical about at least as an LSP (as a parts/manufacturing equipment producer the story changes), 100% (other than electronics) 3d printed, extremely slow production, with the goal of low cost/kg market, I am skeptical of them as an LSP because if the demand for small launch low enough for them to be effective, then there isn’t a business case, people who want small launch are going to want it for the “overnight shipping” aspect especially with larger reusable rockets around. Do you have a source for SpaceX using PICA-X on the first stage of F9? Not off hand, however there are references to a heat shield at the bottom of the rocket. Nowhere near it. F9 uses a re-entry burn to slow from around 4500 km/h (likely faster for asds landings) to about 3000 km/h. Dragon re-enters in the region of 25,000 km/h. Aluminium (grid fins) melts at 660 C and is apparently vulnerable on the faster re-entries. 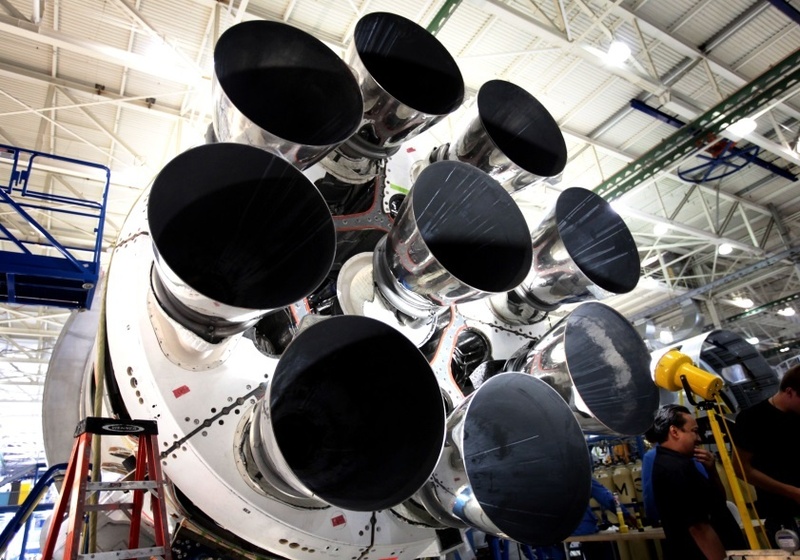 Dragon’s heatshield has to endure 1850 C.
Yes, “apparently vulnerable on the faster re-entries” means, they moved to titanium because aluminium was at risk on the GTO missions – first stage moving faster before separation. A first stage going more than about 8500 km/h at separation will probably not have enough fuel for a re-entry burn (perhaps unless payload was real small). Anyhow, the point is that after the re-entry burn, so at re-entry, the first stage is moving about 6 times slower than Dragon – or any orbital re-entry vehicle. I believe the white panels are heat shields..